VR Museum Opens. – architectkidd co. ltd.
September 26, 2011: The VR Museum at the King Power Complex is now open to the public. It is named after founder Vichai Raksriaksorn and contains one of the most comprehensive collections of classical Buddhist art in Asia. The inaugural exhibition is titled “Journey of the Buddha”. 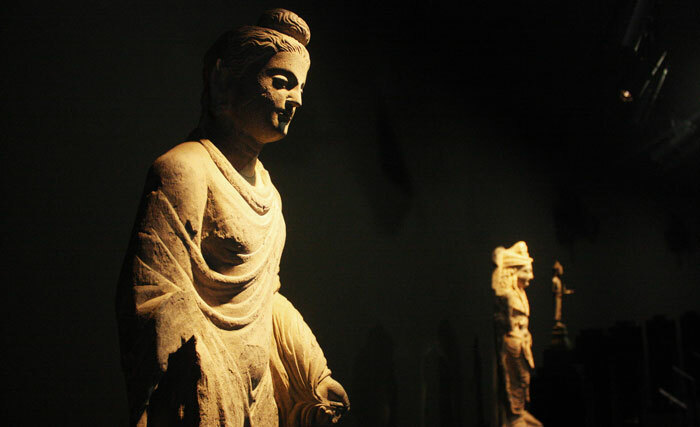 The exhibition includes Buddha statues from the 2nd to 12th centuries, such as from the Gandhara, Dvaravati, Srivijaya and Lopburi periods. The museum is comprised of several gallery spaces placed along a linear sequence. One can observe how the image and portrayal of Buddha has evolved over time. 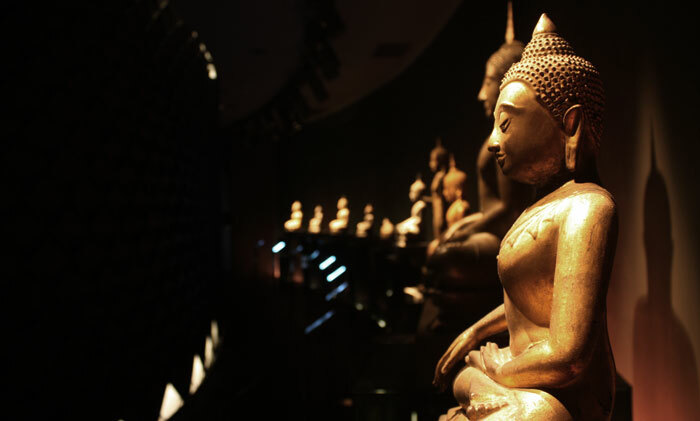 The photograph below shows the gallery containing Buddha images from the Sukhothai and Ayutthaya periods (14th to 18th centuries). The exhibition design is by DesignLAB and lighting design by APLD. 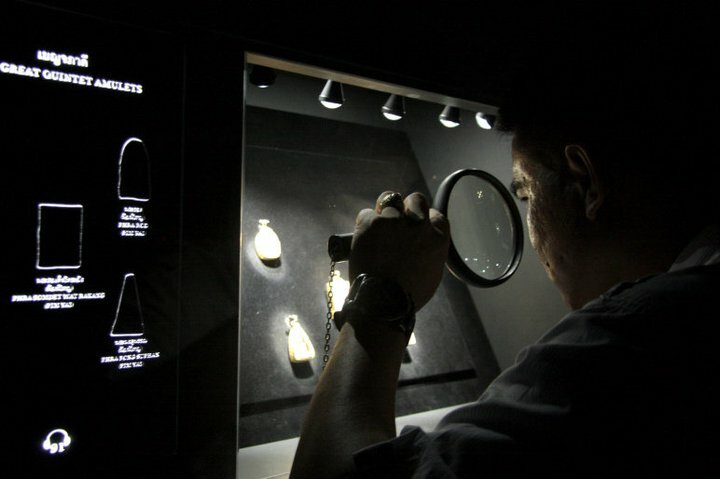 The exhibit features an audio guide for visitors, as well as interactive displays for the viewing the amulets, the highlight being the “Great Quintet” – five tablets crafted by Thai monks. In addition to the architecture, Architectkidd designed the displays embedded in the “Public Wall”. They contain a collection of miniature figures of the Hindu Ganesha and Vishnu, Avalokitesvara Bodhisattva from Mahayana Buddhism, among others. A recent article in the Nation newspaper provides more information about the statues in the various galleries and their historical significance here. There is also an image gallery of the exhibition here. In addition, the Bangkok Post and the Thailand Tatler have also reported on the VR Museum and its collections. Previously we have shown the construction progress here. We will post more details about the completed architectural design of the VR Museum soon. A Different Kind of Food Court. Hard Rock Cafe: Design Summary.